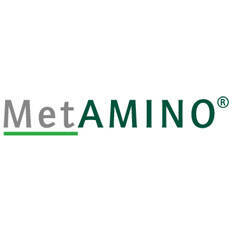 Some animals require methionine in an adapted form. For the aquaculture industry, Evonik’s dedicated DL-Methionine for Aquaculture™ has smaller particles as a result of our crystallization process. Shrimp and prawns are bottom feeders, so feed pellets and extrudates must be stable in the water to perform. AQUAVI® Met-Met meets this requirement, and adds further value thanks to its unique properties: low leaching and slow release in the gut. To supply methionine to ruminants, Evonik offers its Mepron®, a rumen-stable form of methionine. Its fast and complete absorption guarantees high nutritional value, while good flowability makes it easy to mix in feed at any time during the mixing process. You will experience reduced mill maintenance, no viscosity problems at low temperatures and high mixing homogeneity.